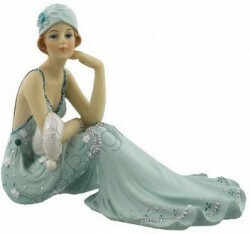 Broadway Belles Lady Figurine featuring a Lady in a Teal coloured dress sitting across the floor. Hand painted and finished with superb attention to detail. 10 cm tall (4 inches).